From being part of the rural township on the edge of Manchester, the opening of Oxford Road in 1790 along with the sale of the Chorlton Hall estate to Samuel Marshland a cotton manufacturer saw the area undergo rapid industrialisation quickly gaining a reputation for industrial blight, Little Ireland in particular, situated along the Medlock. It was also the site of Joseph Whitworth’s bequest to the City and famous past residents have included Thomas De Quincey, Robert Owen, Emily Pankhurst and Lloyd George. Much of the industrial landscape was cleared after 1945 and the area now forms the hub of the City’s educational and health sectors with two universities and hospitals located there. 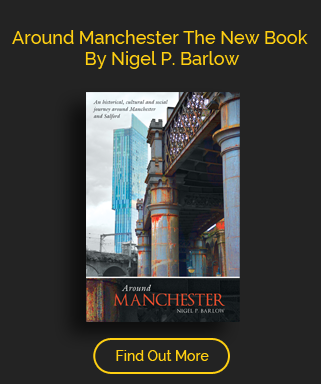 First mentioned at the end of the twelfth century, Gospatrick de Chorlton was tenant in 1202, when his son Richard’s widow claimed dower, it soon became part of the lands belonging to the Lords of Manchester, later held by the Traffords before passing to the Minshulls. From being part of the rural township of Chorlton Row, it was the opening of Oxford Road in 1790 along with the sale of the Chorlton Hall estate to Samuel Marshland a cotton manufacturer from Stockport which began a rapid period of industrialisation which saw its population multiply sixty times in just one hundred years. Besides Chorlton Mill, the area would see Cambridge Mills built by the Birley family as well as Mackintosh’s factory which would develop the process to waterproof clothing. While the middle classes moved to the outskirts of Chorlton, Samuel Marshland, William Cooper and George Duckworth had ambitious plans for putting a new town along the Medlock and by using restrictive covenants would control industrialisation and turn it into a residential paradise with its centrepiece Grovesner Square. The workers, many migrants from Ireland, huddled around the river, the area around it becoming known as Little Ireland which was described by Engels as a notorious hell hole of humanity. It was the arrival of Owen’s College at the south end of Oxford Road in 1873, the College of Art in 1881, the relocation of the Infirmary and the opening of the Whitworth Art Gallery that would eventually determine Chorlton’s future.